MoltenAmba: Utterly infectious danceable folk music with a simmering blend of different musical genres. 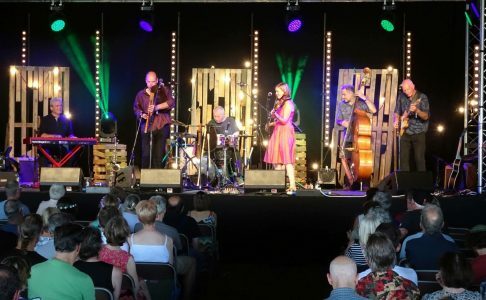 Led by fiddle, pipes & sax, with blistering guitar solos and a monster groove machine of keyboards, accordion and drums, MoltenAmba deliver concerts and dances with haunting vocals, stunning tunes and instrumental pyrotechnics. An extraordinary musical fusion, bringing the rhythms of the world direct to your feet.